Since this is a house concert, please email fingalfolk@gmail.com to RSVP. We can then keep track of how many people to expect. Sorry for the outburst – but we’re pretty excited to bring you this pair. One of the cool things about hosting nights like this is that we get to not only introduce our audience to new music, but we get to introduce musicians to each other too! We’ve known both of these wonderful Ians for a few years now. We’ve seen them play festival stages and conference showcases and small clubs, not to mention accompanying us on many a road trip in CD form (there is not a CD between them that isn’t amazing). We are excited to share them with you too!! and gift of the gab make his performances indelible. shows, earning much respect from his musical peers and fans alike. recorded a fifth album, which will be released this May. Often likened to Canadian songwriting icon Bruce Cockburn in both writing and guitar style, Ian’s music has been described as thoughtful, introspective, cinematic, hopeful, atmospheric, and cathartic by critics and fans alike. He has numerous awards, nominations and co-writes to his credit, including SOCAN Songwriter of the year nominations, Lyric finalist for the International Songwriting Competition (Nashville, TN), and a co-write with Canadian songwriting legend Ron Hynes. 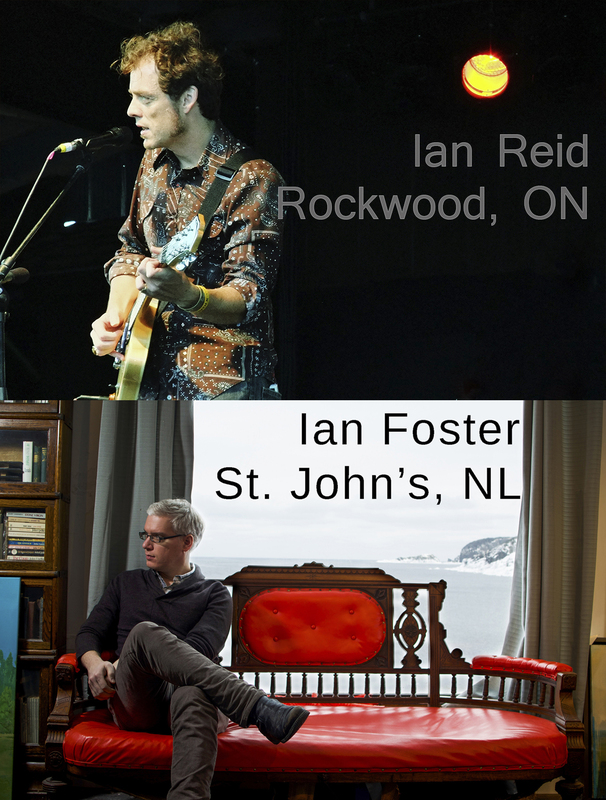 Ian has toured in Canada, the U.S., Germany, The Netherlands, Austria, and Italy, and has had his music played on radio internationally. He has performed his music for audiences of all ages – from school workshops to seniors’ homes; festivals in Canada, U.S., and Italy; soft seat theatres, churches, pubs and house concerts.